Washington, DC, the United States of America capitol, is a compact city located on the Potomac River, bordering the states of Maryland and Virginia. The city is defined by monuments and buildings — including the iconic buildings that house the United States federal government's three branches: the Capitol, White House and Supreme Court. Washington is also home to iconic museums and performing-arts venues. In 1790 the U.S. Congress established a 100-square-mile (260-square-km) territory to serve as the permanent seat of the federal government. This territory was later named the District of Columbia, within which the city of Washington was built. Washington remains a territory, not a state, and has been governed by a locally elected mayor and city council over which Congress retains the power of veto. Washington is an extraordinary city, with multiple personalities: a working federal city, an international metropolis, a picturesque tourist destination, a treasury of the country's history and artifacts, and a cosmopolitan centre that retains a neighbourly small-town ambience. DC is impressively international, with more embassies in DC than any other city in the world, which in turn draws international professionals from all over the world. The city of Washington is built on a wide peninsula of land bounded by the Potomac River and its tributary, the Anacostia. The city's visionary planner was Pierre Charles L'Enfant, a French army engineer who fought in the American Revolution. Two factors strongly influenced his planning for capital city: his understanding of 18th-century Baroque landscape architecture and his familiarity with the city of Paris and the grounds of Versailles. L'Enfant adapted to the area's natural topography, carefully selecting important sites for principal buildings on the basis of the order of their importance, beginning with the U.S. Capitol building, which he placed on a high ridge. He then symbolically linked it, by way of Pennsylvania Avenue to the White House, on a slightly lower ridge. 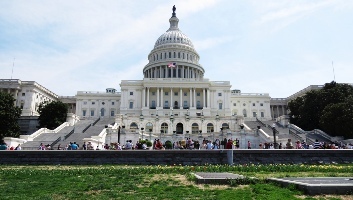 Home of the United States Congress, this area rises near the center of the District of Columbia and extends eastward, straddling the southeast and northeast quadrants of the city. Trademark landmarks include the Senate and House office buildings, the Supreme Court Building, and the Library of Congress. Other attractions include the Folger Shakespeare Library and the glassed-in U.S. Botanic Garden. This is a popular area of town to live, surrounded by nineteenth and early 20th-century rowhouses. Nestled in this neighborhood is the popular Eastern Market where you can find a variety of grocers, bakers and pasta makers and a lively weekend bazar with produce, crafts and antiques. The National Mall is likened to America's front yard. This great swath of green in the middle of the capital city stretches from the foot of the United States Capitol to the Potomac River and is a premiere civic and symbolic space in the United States. The National Mall is America's most-visited national park, where the past, present and future come together. The monuments and memorials in this park honor American forefathers and heroes who paid the ultimate sacrifice in service to the country. Most notably, the National Mall is home to these impressive stone memorials: Franklin Delano Roosevelt, Korean War Veterans, Lincoln Memorial, Martin Luther King, Jr., Thomas Jefferson, Vietnam Veterans, Washington Monument and the World War II Memorial. These monuments are especially a sight to behold after dark. East of the Washington Monument lies world-class museums including the Smithsonian National Museum of African American History and Culture, the United States Holocaust Memorial Museum, the National Gallery of Art, National Air and Space Museum and many others. The Smithsonian Institution is the world's largest museum, education, and research complex with approximately 154 million artifacts and specimens in its trust. The Smithsonian is dedicated to public education, national service, and scholarship in art, design, science, technology, history, and culture. Collectively, this renowned museum and research complex consists of 17 museums, galleries and a zoo. The Smithsonian's collection of knowledge centers serve as a treasure chest for visitors and a guide to the most fascinating aspects of American society. Admission is free at every location. 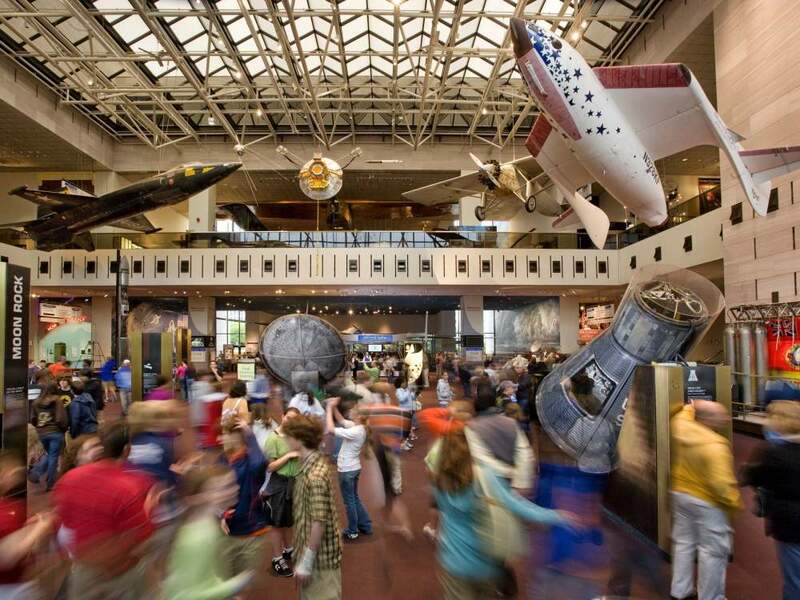 Plan to visit one of these DC area museums: African American Museum, African Art Museum, Air and Space Museum, Air and Space Museum Udvar-Hazy Center, American Art Museum, American History Museum, American Indian Museum, American Indian Museum Heye Center, Anacostia Community Museum, Archives of American Art, Arts and Industries Building, Cooper Hewitt, Freer Gallery of Art, Hirshhorn, National Zoo, Natural History Museum, Portrait Gallery, Postal Museum, Renwick Gallery, S. Dillon Ripley Center, Sackler Gallery, Smithsonian Castle, and Smithsonian Gardens. Of particular interest to CISTM16 attendees, Outbreak: Epidemics in a Connected World is on exhibit at the National Museum of Natural History until 2021. Outbreak invites visitors to join epidemiologists, verterinarians, public health workers, and citizens of all ages and origins as they rush to identify and contain infectious disease outbreaks. Case studies of HIV/AIDS, Ebola virus, influenza, Zika virus and others highlight the social and emotional fallout of outbreaks--for victims, their loved ones, and society overall. Objects from museum collections illustrate the scientific and cultural impact of epidemics. Read more information here. The banks of the Potomac and Anacostia rivers are flourishing with some of DC Region's most exciting destinations for live music, sports, dining and on-the-water activities. Hop on a water taxi or river cruise and plan to take advantage of one of the nation's greatest collections of riverfront communities. Georgetown and Old Town Alexandria got their start as bustling ports in the mid-1700s and continue to be thriving neighborhoods today. Reinvigorated waterfronts are connecting the city back to the water at The Wharf and Capitol Riverfront. Meanwhile, attractions along the shoreline stretch from Arlington to National Harbor to George Washington's Mount Vernon and beyond. Popular waterfront spots include: The Wharf, the Georgetown Waterfront, the Capitol Riverfront, the Old Town Alexandria Waterfront, and the Arlington Waterfront. Dig into one of the country's hottest restaurant scenes, where dining is as colorful and eclectic as America itself. The District is rolling in accolades, as the city has several Michelin-starred restaurants and was named restaurant city of the year by Bon Appetit and the hottest food city by Zagat in 2016. 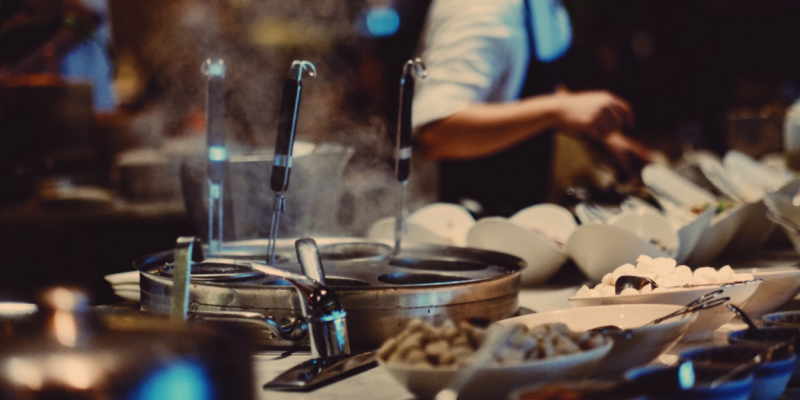 From crave-worthy dishes served by celebrity chefs to popular chili-smothered "half-smokes" served at a diner, there are many delicious local flavors to experience. DC is also known for Ethiopian food - with many spots near U Street. 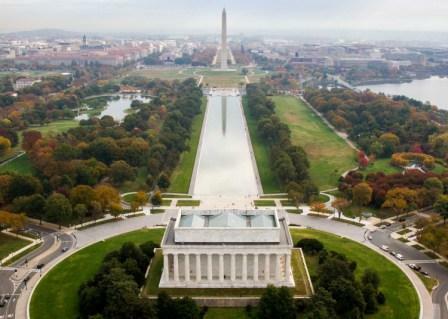 Virtually all of DC's tourists flock to the National Mall - a two-mile long stretch of parkland that holds many of the city's monuments and Smithsonian museums -- but the city itself is a vibrant metropolis that has much more to offer than monuments, politics, and neoclassical architecture. Of course the Smithsonian is a "can't miss" but you haven't really been to DC until you've explored city neighborhoods. The most-visited areas include: The National Mall, DC's main theatre district, an array of Smithsonian and non-Smithsonian museums, fine dining, Chinatown, the central business district, the White House, West Potomac Park, the Tidal Basin, Nationals Park and the Wharf. This area encompasses DC's trendiest and most diverse neighborhoods and is the places to go for live music, nightlife, restaurants, shopping, embassies and U Street. This west side of town is home to the historic village of Georgetown with its energetic nightlife, colonial architecture, and fine dining. The National Zoo, National Cathedral, and high-end shopping are located in this district. Beginning at the Capitol Building and Library of Congress, and extending past Union Station and the historic Capital Hill neighborhood, historic Anacostia (DC's "Little Vatican"), the National Arboretum, and a handful of eccentric neighborhoods to explore.